With a fitted bodice, gathered skirt and inner pockets, The Day Dress will be one of the prettiest dresses in your wardrobe. With three ways of making the front bodice, your options are endless. All views have an invisible zip at the back. Have fun making this pattern out of a variety of fabrics. View A has a seam at the centre front. View B has buttons/button holes at the centre front. View C has no seam at the centre front. Lightweight to medium weight fabrics are perfect for this pretty dress.Not suitable for stripes, diagonals or plaids. 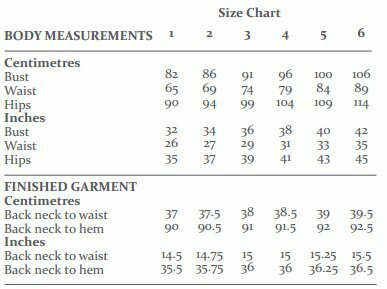 Always allow extra fabric to match one way designs.Supplies NeededView A & C – Fabric, thread, 56cm/22″ invisible zipper, 1m elastic (6mm wide).View B – Fabric, thread, 56cm/22″ invisible zipper, 1m elastic (6mm wide), x6 1.5cm buttons, buttonhole presser foot, 0.50m iron on interfacing. Hello. We’re The Avid Seamstress, a London-based sewing pattern company dedicated to helping modern women enjoy sewing and making themselves look great. The Avid Seamstress produces versatile & multi-functional sewing patterns to bring together a community of women that empower and inspire each other through sewing. Aimed at beginner to intermediate dressmakers, we give users the freedom to create easy casual outfits or more formal garments just by changing their fabric choice. We also support customers on their sewing journey by offering blog tutorials and online help. 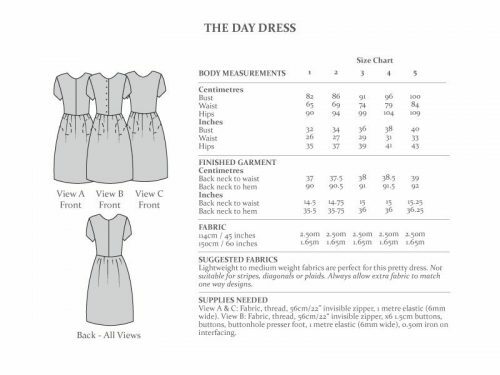 The Avid Seamstress sewing patterns are printed on high-quality pattern paper and include a step-by-step instruction booklet. What’s more, we include helpful cards showing users how to take their own measurements, an easy explanation of common sewing terms as well as a useful sewing checklist. All of this is encased in a beautiful, big recloseable envelope.